If you cancel your team, your service will remain active until the end of the current billing period. At the end of the final billing period, your team will deactivate, and you will not receive any further bills. 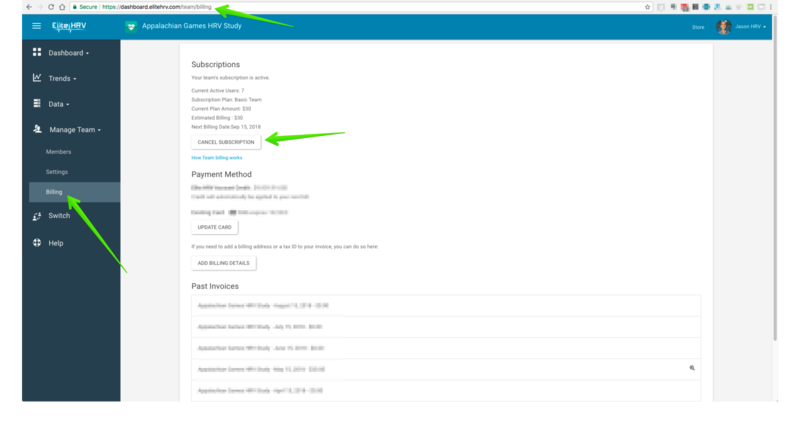 You can also find this page by clicking "Billing" via the left side navigation menu, under the heading "Manage Team". Note: Only the Team Owner can cancel a team's subscription (the person who created the team).